Welcome to another edition of The Weekly Links, your weekly source for the best '80s content on the web! Well, I hope I made good on last week's promise! RD80s has made some changes and hopefully you've liked them. I'm still tweaking the new template, but as you can tell, it's basically been organized with the categories from The Weekly Links! Movies, TV, Music, Video Games, Pop Culture, and Deals/Giveaways are the new identifiers. I'm also pushing to post more content each week instead of bunching it all into one post of Friday. I'll still be creating new content but also sharing/commenting on other content I stumble across. Like this week, my pal Wyatt shared his last farewell to actor James Best and I posted photos of the new Griswolds from the Vacation remake. 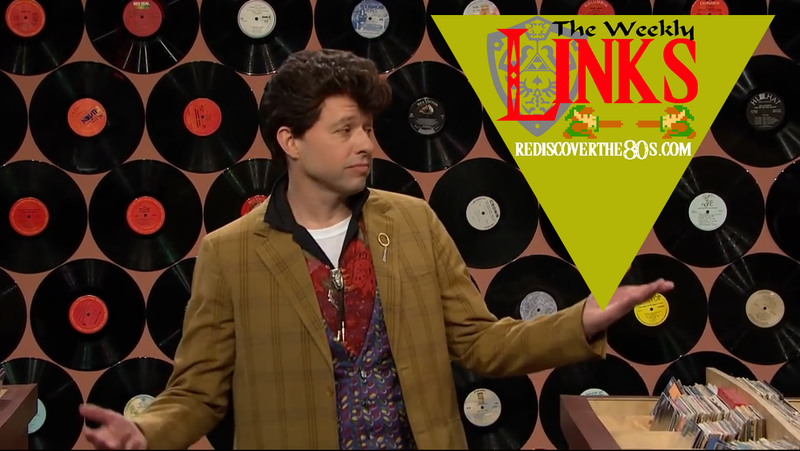 Enjoy the rest of this week's links!!!!! !